I saw a stage adaptation of Susan Hill's chilling Victorian ghost story when I studied theater in London, and I remember absolutely loving the gothic tale. Daniel Radcliffe will star as a young lawyer who's hired to settle an estate at the sinister Eel Marsh House. According to the The Woman in Black's IMDB site, filming will begin this fall and the film is scheduled to be released in 2011. Keep the spooky tales coming, filmmakers! We could use more of the ghostly ones. 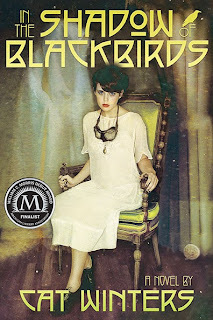 My first (non-family-member) reader has only two chapters left to go on Blackbirds. It sounds like I need to work on my ghost character more, but the plot seems to be passing the test with everyone so far. This is the first book in which I created a tight, detailed outline before writing, and I feel like it really helped keep the story on course. I'll be spending August revising, and then I'll swap books with another critique partner in September and receive more feedback. After that, I plan to polish everything up for the rest of the year and still meet my goal of sending the book off to my agent in early 2011. Is it really the last day of July already? June crept by for me, but July was a fast one. To demonstrate why blogging and summers don't always mix well, here's an eloquent haiku that describes my current week. I started up a mailing list today and cordially invite you to be one of the first to join. I'm using a system recommended to me by an author friend, and it looks to be safe, spam free, and easy. I mainly plan to use it for sending messages after Blackbirds lands a publishing contract (she writes rather optimistically). . . and to show editors that I already have a list of interested readers in place. If you sign up and help me demonstrate to potential publishers that a Blackbirds audience is ready and waiting, I'd be grateful. Thanks! You can either sign up here or fill out the form below. I've been coming across some wonderful examples of publishers buying up supernatural tales set in the past, which is highly encouraging for me as I sit here revising my 1918-set ghostly fantasy. 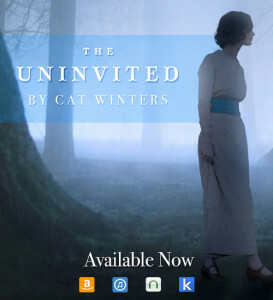 Case in point, Libba Bray of the Gemma Boyle Trilogy/Going Bovine/Printz Award fame sold her four-book 1920s-era series, The Diviners, to Little Brown earlier this year. According to Publishers Weekly, "Bray follows a teen heroine she says is reminiscent of two of the era's most famous literary women--Zelda Fitzgerald and Dorothy Parker. 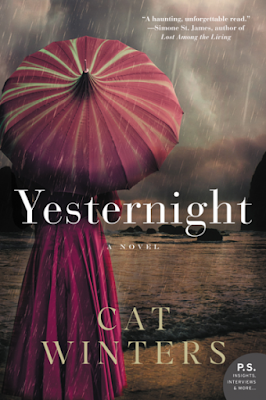 Bray, who admitted to having always been fascinated by the Jazz Age, said she's looking forward 'to offering readers a wild new ride full of dames and dapper dons, jazz babies and Prohibition-defying parties, conspiracy and prophecy--and all manner of things that go bump in the neon-drenched night.'" When I met with a Little Brown editor at a recent conference, she described the series to me as The X-Files meets the 1920s. The first book in the series will debut fall 2012. Last month I interviewed Edgar-nominated novelist Saundra Mitchell over at Suburban Vampire. 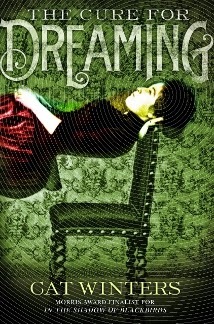 Mitchell announced today that her 1880s-era novel, The Vespertine, has a publication date of March 7, 2011. 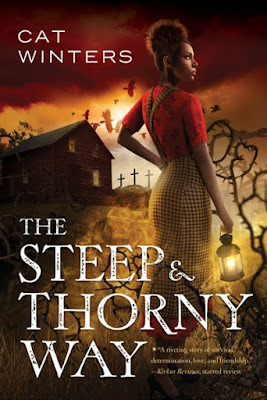 Here's how Mitchell described her plot to me: "The Vespertine is about a Victorian teen named Amelia, who gets to spend a summer in Baltimore with family--theoretically, in search of a husband. But when she arrives, she discovers she can catch glimpses of the future at sunset. This makes Amelia and her new best friend very popular--everybody wants to spend time with the girl who can tell their future!... But when Amelia starts to predict disaster instead of delights, the people around her start to wonder if she's not just the seeing these things, but causing them." Mitchell will be sharing the novel's cover in September. When I first tried selling my historical fiction (written for an adult audience) a decade ago, publishers didn't want anything set in the past, unless it was historical romance. I had an agent fighting for my work, but editors said the historical market was deader than dead. 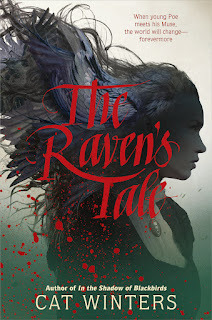 Therefore, it makes me deliriously happy to see YA historicals finding good homes, and I love the fact that the past and the supernatural are being intertwined in creative new ways (I haven't even mentioned the success of YA steampunk, which also makes me smile). I can't wait to read these upcoming novels...and I'm itching to finish up my own book and send it out into a publishing world that isn't so afraid of bygone eras anymore. Novelist Nicole Hadaway has interviewed me over at Write in the Shadows today. I've revealed much more than usual about the plot of Blackbirds, plus I've discussed how long I've been writing (hint: the picture here shows me in my first scary Halloween costume at the age of five; everything started falling into place for my current career around then). A near-death experience straddles my heroine between the world of the living and the realm of the dead, and she’s able to communicate with the frustrated spirit of an eighteen-year-old friend of the family who’s been told he was killed in battle. Some of you may know me as Catherine from Suburban Vampire, where I've been writing about undead entertainment for almost 3 1/2 years. I'm thrilled to announce that this weekend Suburban Vampire is being featured on a vampire music radio show in Instanbul, Turkey. Journalist Aylin Unal contacted me about her show and asked me to send her a vampire playlist based on my Music Monday favorites. She'll also be running an interview about me and the blog. The show will air this Monday, July 5, at 2:00 AM Eastern European Summer Time (Sunday, July 4, at 7:00 PM Eastern Daylight Time), on Acik Radio, 94.9 (which you can hear online). On Monday, July 5, I'll be featured at Aylin's blog, karanligincocuklari.blogspot.com. Thank you, Aylin!